Hyrule Warriors costume DLCs for Ocarina of Time, Twilight Princess, and Skyward Sword will be available for purchase in just a few weeks. They’ll be for sale on December 18th, however, this has only been confirmed for Japan. Previously, the Link, Zelda, and Ganondorf costumes for the aforementioned games were obtained by preordering Hyrule Warriors from either GameStop, Amazon, or Best Buy. But now that that option is no longer available, Koei Tecmo is releasing the costumes as DLC packs for each character. 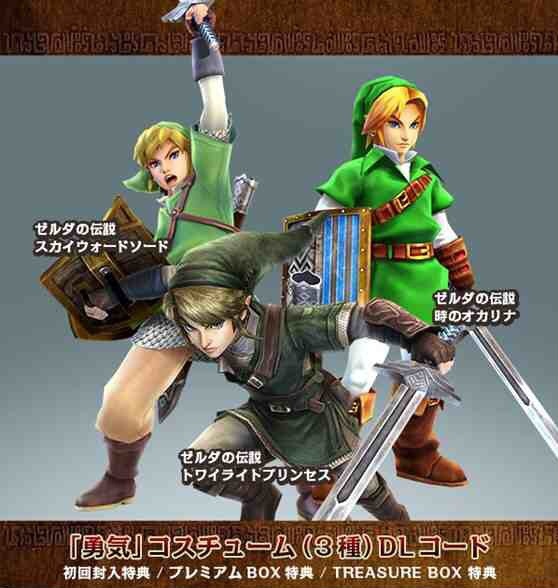 The “Courage” Costume Set contains Link’s costumes for Ocarina of Time, Twilight Princess, and Skyward Sword. It is set to cost 400 yen, or roughly $3.75 in US currency. 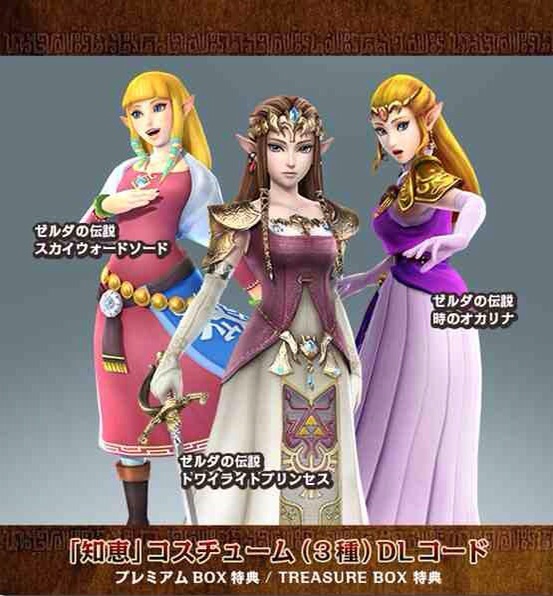 The “Wisdom” Costume Set contains Zelda’s costumes for Ocarina of Time, Twilight Princess, and Skyward Sword. It is also set to cost 400 yen, or roughly $3.75 in US currency. 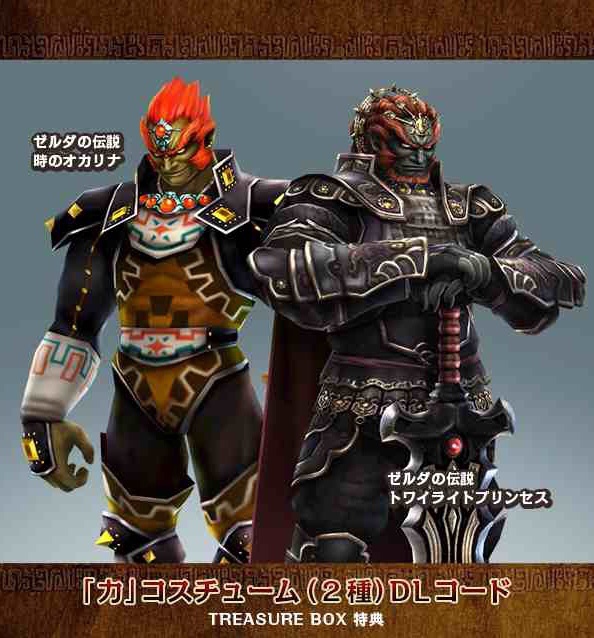 The “Power” Costume Set contains Ganondorf’s costumes for Ocarina of Time and Twilight Princess. It is set to cost 300 yen, or roughly $2.54 in US currency. Though the costumes have not yet been confirmed as DLCs outside of Japan, it is thought that they will be released to all markers on December 18th. Additionally, these costumes are not paid for by the Hyrule Warriors DLC Season Pass. Are you happy to see these costumes as DLCs? Do you approve of the DLC oriented nature of Hyrule Warriors? Do you think it’s worth it to pay for just costumes? Speak your mind in the comments!